Game description: Backyard Baseball '10 for the PlayStation®2 is the latest and greatest version of the best-selling kids' baseball video game series. Backyard Baseball '10 is a great way to extend the love of baseball from the outside field to the virtual field. 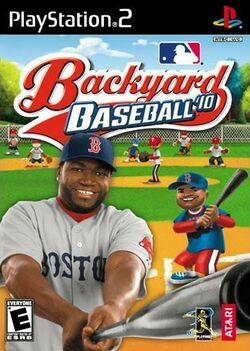 Along with cover player David Ortiz, Backyard Baseball '10, lets kids play with or alongside other pro players featured as kids. This page was last edited on 5 January 2017, at 17:53.